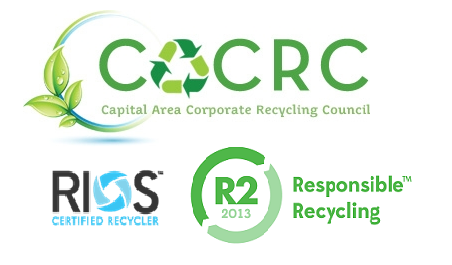 The CACRC is a nonprofit organization committed to e-scrap reduction by reducing the stream of e-waste to landfills, and by providing refurbished computers and equipment to schools, nonprofits, and low income families. The organization accomplishes this by electronic refurbishment and recycling, including collection, sorting, dismantling, refurbishment, data wiping, sales, and donations. 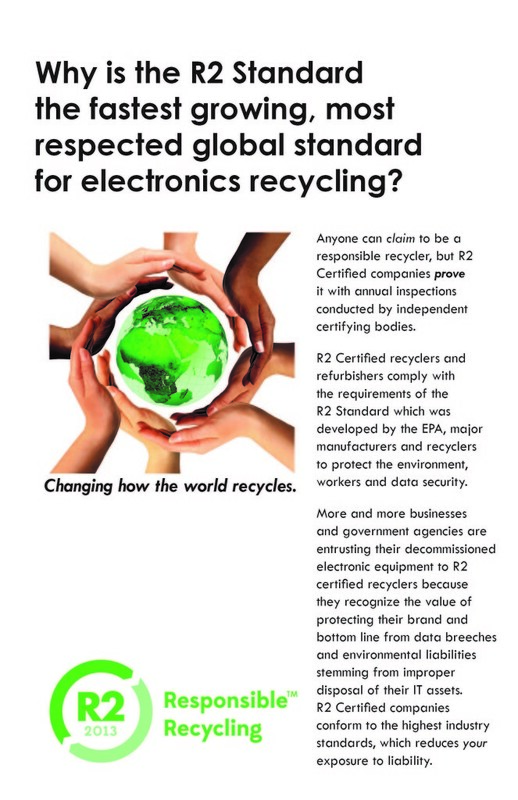 The R2 Standard requires protection of confidential and personally identifiable information on electronic devices, and adherence to the top industry standards for data sanitization. All hard drives are wiped to NIST standards or crushed with our secure/compliant hard drive “Data Destroyer” or our AMS 150 Hard Drive Shredder which satisfies the most stringent government and industry standards. The CACRC will provide your organization with a Certificate of Destruction. The PD-4 and AMS 150 meet NIST, HIPPA, PCD-DSS and GLBA compliance and guidelines requiring destruction of data contained on hard drives.